Wheaton-Warrenville School District 200 recently held an informational meeting regarding full-day kindergarten. The meeting, held at Hubble Middle School in Warrenville provided an overview of the full day kindergarten program being launched in District 200 for the 2011-2012 school year. The all-day kindergarten program is planned to have no impact on the existing District 200 budget for the 2011-2012 school year. Tax dollars will not be used to fund the program at this time. All required funding will be paid as tuition by residents wanting their children to attend the full day kindergarten program. 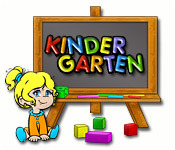 Tuition for the 2011-2012 school year is $4,000 per kindergarten student. There is no tuition due for students attending the existing half-day kindergarten program. The program’s budget requires that half the families with an attending student pay the $4,000 tuition. Families who are eligible, may receive a lowered, subsidized tuition (an application process is required). The full day kindergarten program will expand on the standard, half-day kindergarten curriculum with increased time spent on math and reading. The program will be available at 12/13 District 200 elementary schools, but is dependent upon enrollment levels and funding. If there is too little enrollment interest at a particular elementary school, the full-day kindergarten program may not be available for that school. Residents must enroll in the program at their assigned elementary school on the assigned enrollment date. Residents cannot enroll at any other elementary school in the district. More information about this program and slides from the full day kindergarten informational meeting will be posted soon, please check back for this additional information.